A fond farewell to yet another legend in Napa Valley. After 38 successful years at the helm of Rombauer Vineyards, Koerner Rombauer, nephew of Irma Rombauer, author of “Joy of Cooking”, left us with many fond memories of his giant personality, generosity and contribution to the valley. Koerner passed away May 10, 2018 at the age of 83. After 30 years, St. Helena restaurant Terra and Bar Terra are closing this Saturday night, citing staff shortages. This is for sure a loss for St. Helena. “If you build it they will come”. With so little land to be found on the valley floor, it’s been interesting to watch high end spec builders move from the Up Valley into Napa with great success. Last year a luxury spec home on Big Ranch Road with only 5.75 acres of vineyard sold for $17M. One closed in March this year on Soscol Creek Road for $9.6M. Another one on Orchard Avenue just closed for $8.5M and one next door to it is in escrow with an asking price of $14M. 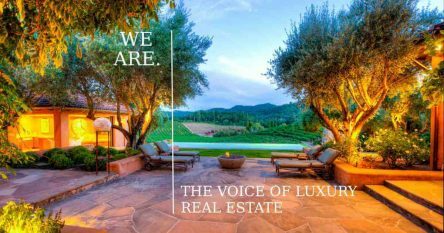 The highest residential sale in St. Helena in the last twelve months was $7.5M. 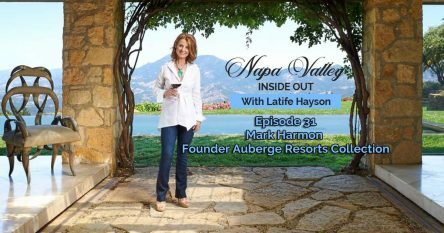 I am thrilled to announce that my fabulous brokerage firm Golden Gate Sotheby’s International Realty acquired Heritage Sotheby’s International Realty in Napa Valley this past week. In just over one year, Bill Bullock, President & CEO of Golden Gate Sotheby’s International Realty, has furthered his vision of unifying the Sotheby’s International Realty Affiliate brokerage firms in the San Francisco Bay Area, by acquiring brokerage firms in the Peninsula, Silicon Valley, the East Bay and now Napa Valley to join his offices in Marin. We now have nearly 500 agents and 65 extremely talented marketing and service professionals under one umbrella circling the Golden Gate Bridge. So excited about this. Speaking of the power of the brand, last weekend I was in Santa Barbara with 52 of the top Sotheby’s International Realty brokers in the country and our Olympian business coach, Liz Bentley, at our annual Market Leaders forum sharing best practices, exceptional offerings and clients. It was announced at our conference that our group’s combined sales for 2017 was $5 billion dollars and we referred $500 million in business to each other. One of the great ideas that came out of that forum was from Nikki Field, top producer in our New York office. Nikki reached out to her clients some years ago and put together a database of all the properties they owned around the world and then connected with our global Sotheby’s International Realty partners asking them to keep her up-to-date with information on those markets and in buildings her clients owned, so she could keep them informed of trends and sales where they held assets. In one case, Nikki was able to inform a client in NYC that the Penthouse in a building where he owned property in Monaco was coming on the market. The client was thrilled to hear about this. He bought the penthouse before it hit the market and sold his condo on a lower floor. So if you have assets in other parts of the country or the world, and would like our Sotheby’s International Realty global partners in those locations to send me information to keep you up-to-date, please let me know and I will reach out to them with the specifics of what you would like to know about. The 38th annual Auction Napa Valley kicks off this Thursday. I hope to see you at Friday’s Barrel Auction. Meanwhile, I hope you enjoy the rest of the newsletter.